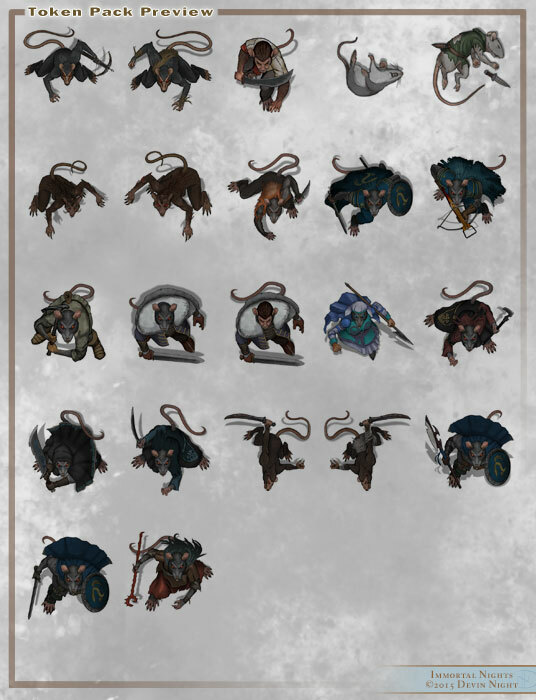 This pack contains a variety of ratmen, wererats and two dead versions. Need some wererats, skaven or other type of humanoid rats? Here’s the goods. Nice token set, well worth the purchase.